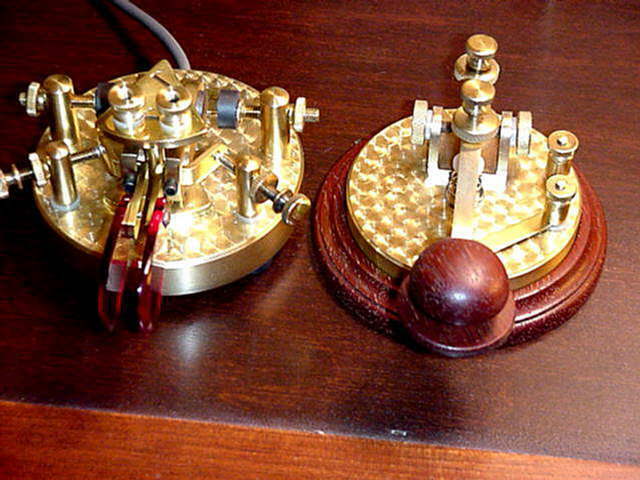 These are more modern keys designed to make dots and dashes automatically electronically. 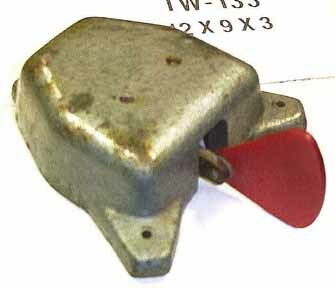 5550 * GREY-BASED EL-KEY PADDLE:(26KB) This is an all chrome plated mechanism mounted on a grey painted base. 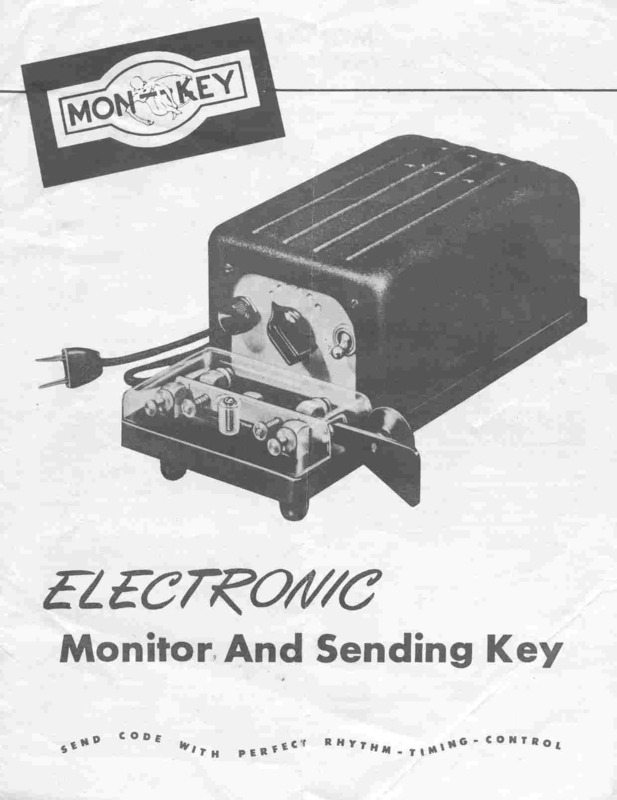 The label reads: POUCEL ELECTRONICS, EL-KEY. 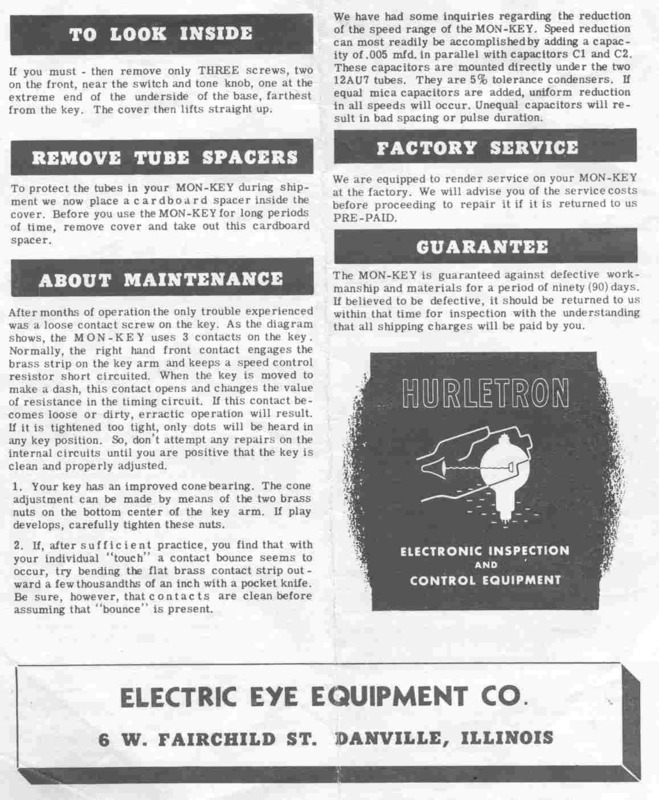 It was manufactured by W2AYJ, Robert E. Poucel of Babylon, Long Island, NY. 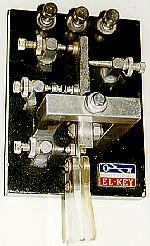 5551 * BLACK-BASED EL-KEY PADDLE:(14KB) Same as 5550 but with black base. 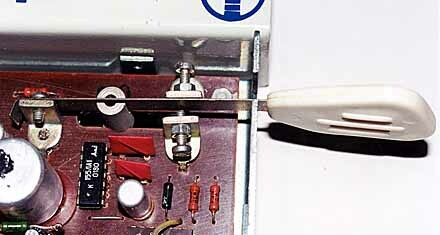 5564 EARLY AUTRONIC PADDLE:(19KB) This paddle has an all chrome mechanism integrated with a cast base which is painted in grey wrinkle finish. The finish has numerous chips. The word "AUTRONIC" is cast in raised letters on the top and "ELECTROPHYSICS CORPORATION", Newport Beach, Calif is cast into the underside of the base. 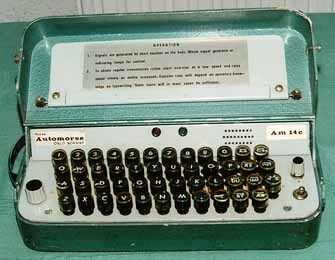 5566 * MORE MODERN AUTRONIC PADDLE:(17KB) Same as #5564 except lighter grey & more modern hardware. 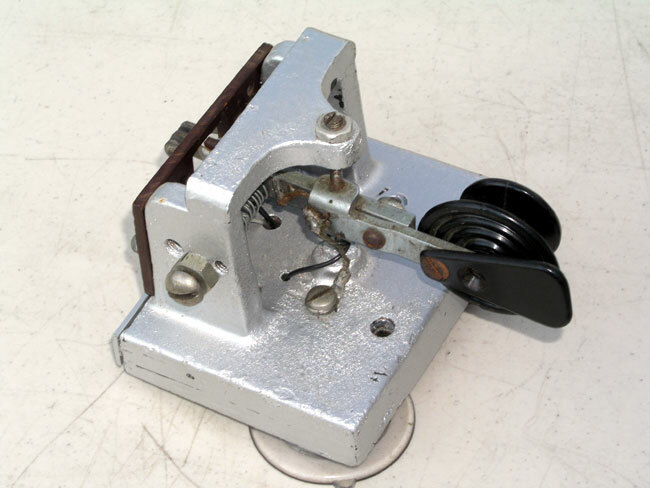 5570 KUNGSBACKA - FIRMA KUNGSIMPORT PADDLE:(20KB) Aluminum mechanism on wood base with hacksaw blade armiture & wooden knob. 3 Suction cups on bottom of base. Label reads: FIRMA KUNGSIMPORT, Box 257, 434 00, KUNGSBACKA, Postgiro 9 10 99 Sweden. About 200 of these keys were made in the late 1970s by Hank Svard a Swedish Radio Operator at the SAG Goteburg Sweden shore station and his friend, Bengt-Arne Jockert / SM6CKU. About 50 of them were sold to Americans. He writes that his key business did not thrive so he had to keep on working at SAG. He said "it was a thrill at the beginning of every watch to caress the wooden handle. 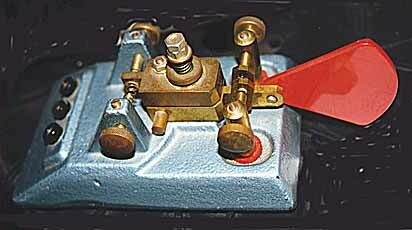 The ability to switch between sending very very slowly or very very fast made you feel totally in command. You created your own style and therefore you were greeted by name by the other ships calling in". The suction cups were notorious for losing their suction causing the key to suddenly and surprisingly drift across the operating table. 5580 * BROWN BROTHERS "UTL" PADDLE:(21KB) Chrome iambic mechanism on beat-up grey base. 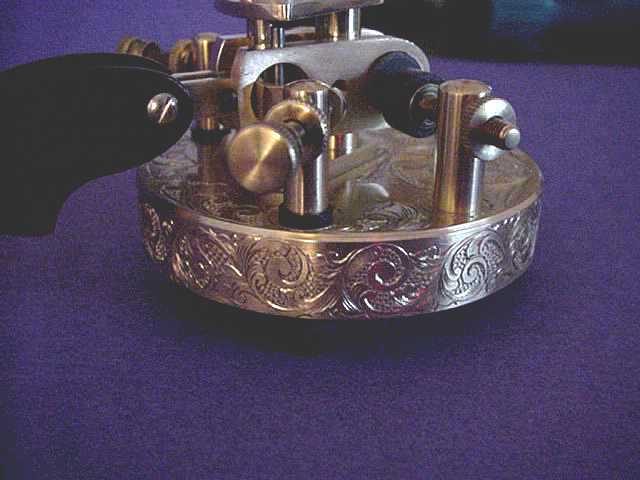 The UTL or: Unbiased Two-lever mechanism has a crisp light 'feel' and is considered very desirable by collectors. 5585,5585A * BROWN BROTHERS "CTL" PADDLE & STRAIGHT KEY:(17KB) This straight key & paddle is mounted on a grey base. 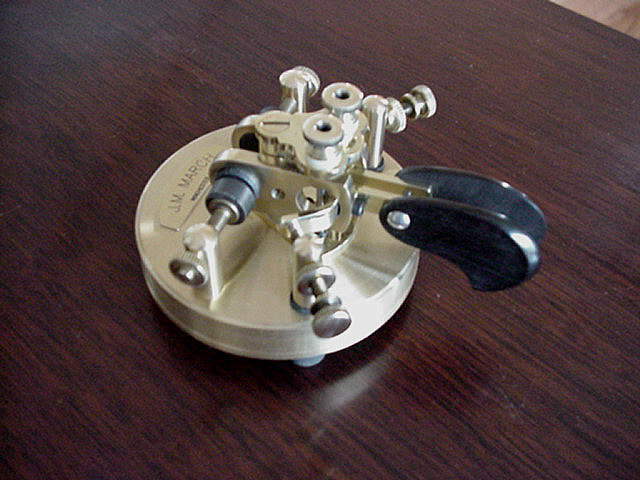 The CTL Two-Lever' mechanism is considered to be a bit less crisp than the UTL mechanism because of the flat springs which are used instead of bearings. 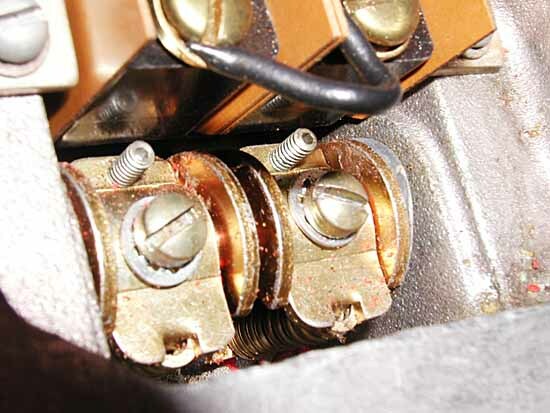 The key is also supported by a flat spring and has no bearings. Compare this mechanism with number 5590 below. 5590 * BROWN BROTHERS "UTL" PADDLE & STRAIGHT KEY:(15KB) This straight key & paddle is mounted on a grey base. 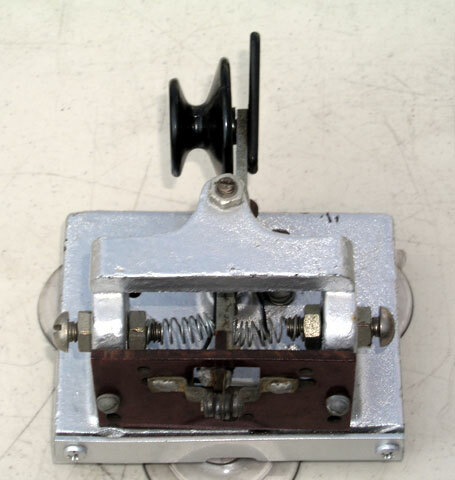 The UTL or: Unbiased Two-lever mechanism has a crisp light 'feel' and is considered very desirable by collectors. 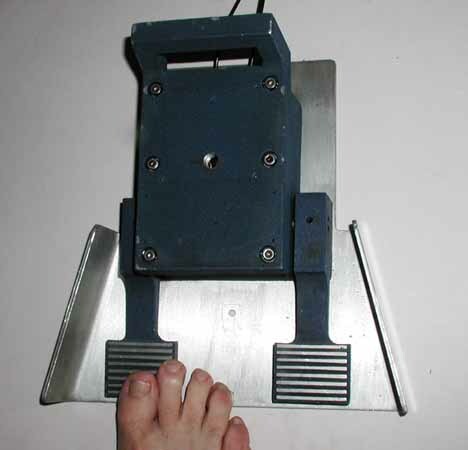 Its mechanism is supported by adjustable bearings. 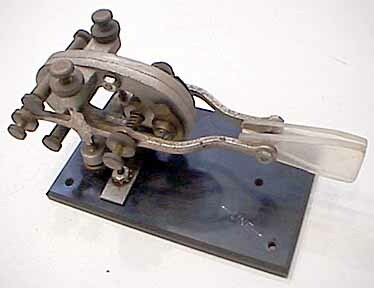 The telegraph key also has adjustable bearings supporting its lever. 5600 * RARE CODETROL PADDLE: This rare paddle was made by Breedlove who also made the exceptionally rare right-angled Codetrol bug. The photograph was sent to me by another collector. 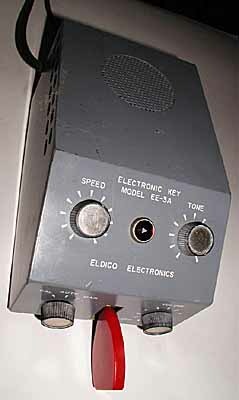 5640 * ELDICO EE-3A EARLY ELECTRONIC KEY (14KB) This is one of the very early electronic telegraph keys capable of making both self-completing dots and dashes automatically. 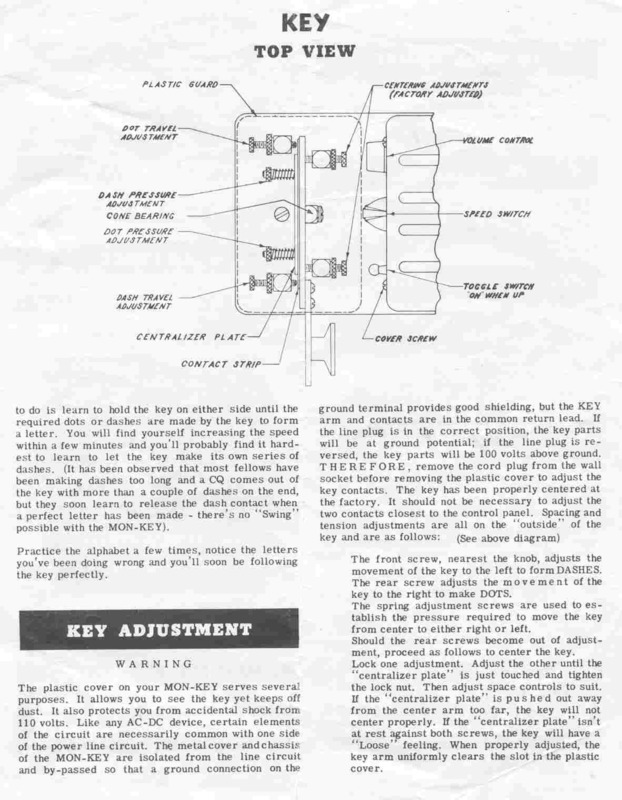 This key was sold as a kit as well as factory wired. This one carries serial number 0414. 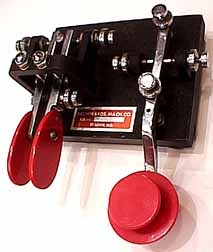 5680 * HEATHKIT ELECTRONIC KEYER/PADDLE: Heath Model HO-10 fully automatic keyer. 5682 * Same as above. 5690 * TenTec KR40 Iambic memory keyer. 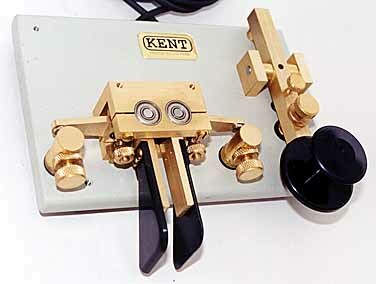 5880 SPECIAL MANUFACTURE KENT COMBINATION IAMBIC PADDLE AND STRAIGHT KEY: The Kent Company in Great Britain was commissioned to make a small lot of these interesting keys. 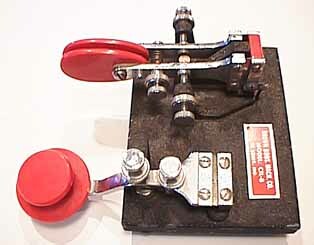 I was able to photograph this example at the Dayton 2000 hamfest where they were on sale. 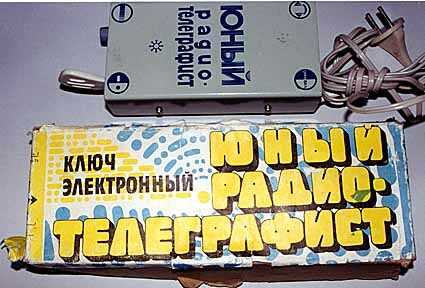 5912 * RUSSIAN ELECTRONIC KEYER / PADDLE:(37KB) This interesting Russian Keyer was found at the 2000 Dayton Hamfest. 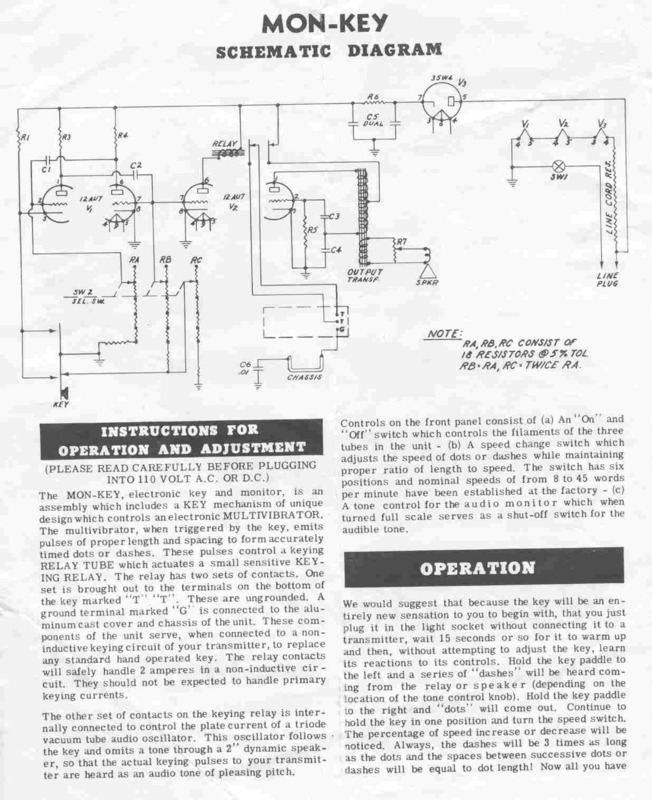 It came with the original box and a very complete set of instructions with full schematics. Here are some more views of the paddle. 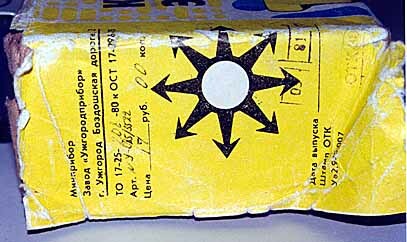 Darrell, ZL/W6HPM tells me that the design, based on a hacksaw blade, may have been suggested by the use of a hacksaw blade by Russian marine operators to make a sideswiper, the Russian name for which was 'pila' (pee-LA) or saw. 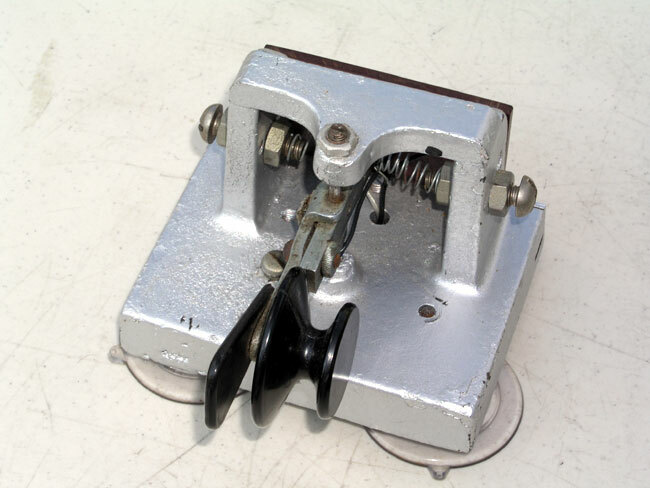 5920 GERMAN HANNES BAUER PADDLE:(20KB) This unusual paddle has three rings of ball bearings separating the three moving parts. 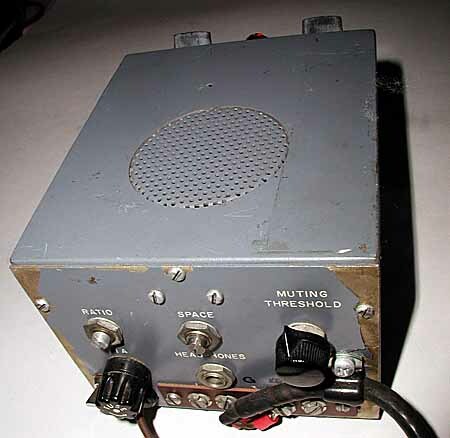 It was found in Germany at the Friedrichshafen hamfest and it was manufactured in the mid 1960's by Hannes Bauer of Bamberg, Germany. This paddle has two brothers. One is much smaller with a solid plastic base. 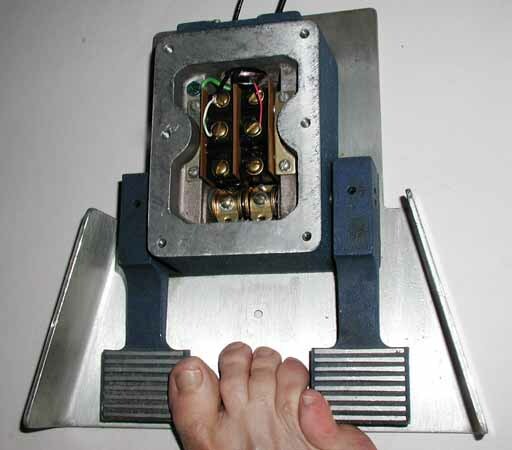 It is designed to be attached to the operating table by screws or directly to the keyed transmitter. The other is a bug of the same color which was sold under the name 'Edelmann'. Apparently only a small number of these bugs were manufactured and they were succeeded by this paddle. 5925 ** GERMAN HANNES BAUER PADDLE:(13KB) This is another variation of the paddle shown above. It is owned by collector Cortland Richmond, KA5S, who bought it in Weisbaden Germany in the 1970's. 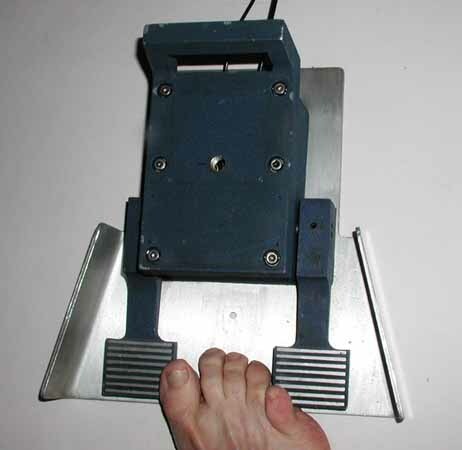 See also the Hannes Bauer Paddle and Bug mentioned above. 5955 ** NORWEGIAN NORSK AUTOMORSE MODEL AM-14C KEYBOARD KEYER:(22KB) This small keyboard style keyer was designed by Leif Patrick Evensen, who had a company in Gothenburg/Sweden, at least from 1956 to 1974, named Telespeed, later Aksieselskapet Automorse. 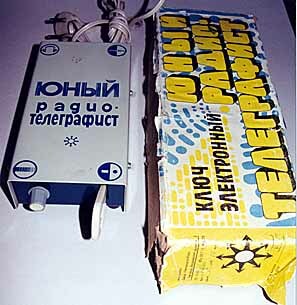 He made three versions, the last one (on the photo) around 1969.The first one operated with 14 mechanical relays, the second one was more stable, based on a diode matrix with only two relays and the last one was completely transistorized. After the first, the US Militairy authorities claimed promptly: Too many moving parts. The unit was than withdrawn from the market. 45 of them were released by the Norwegian Militairy Forces and sold for nothing which urged Evensen to publish a warning so the units would not be taken to sea. The second one was not waterproof and the Norwegian authorities really never accepted the Automorse. Because of Norwegian reluctance the third version also never entered the market to any extent. It measures 9 X 21 X 33 cm. 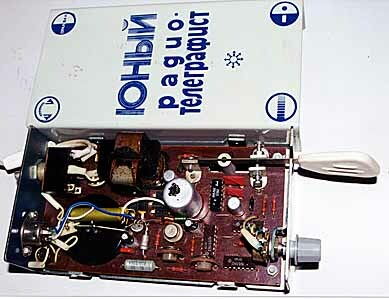 It is in the collection of Anton Klok - PA3AQV in Holland who was kind enough to supply this information about it. 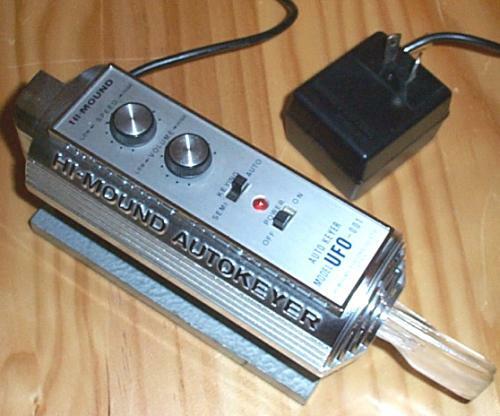 5980 * HI-MOUND "AUTOKEYER" ELECTRONIC KEYER: This is a very interesting looking keyer made by Hi-Mound. 5987 THE J. M. MARCH PADDLES: These paddles were made by J. M. March in the 2000s. 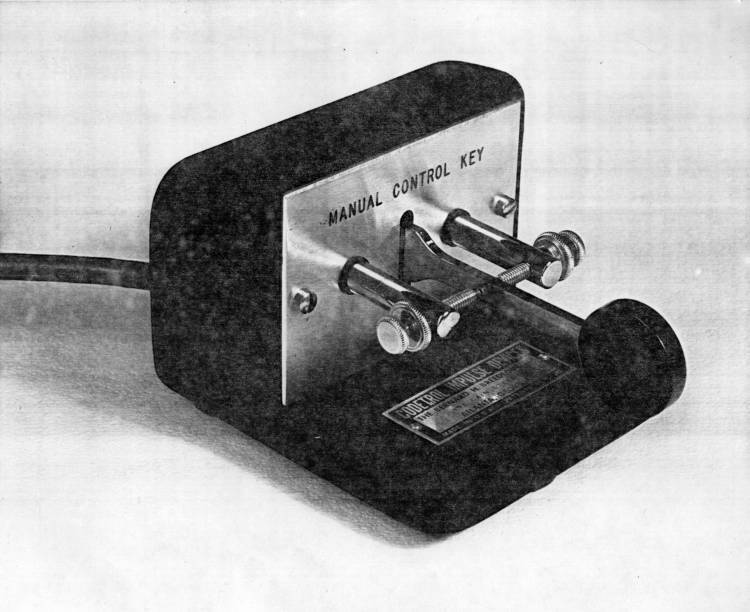 5990 THE FAMOUS QST J-38 PADDLE:(15KB) Many hundreds of these iambic paddles were made by hams after an article in the July, 1952 issue of QST described the basic design. 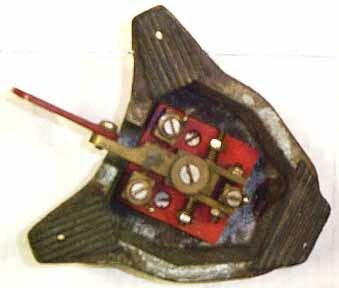 The paddle is made by simply screwing together two J-38 straight keys and mounting the resulting mechanism vertically. This ugly paddle has a surprisingly good, crisp, light, ''feel'' and compares very favorably to a well adjusted Bencher paddle. 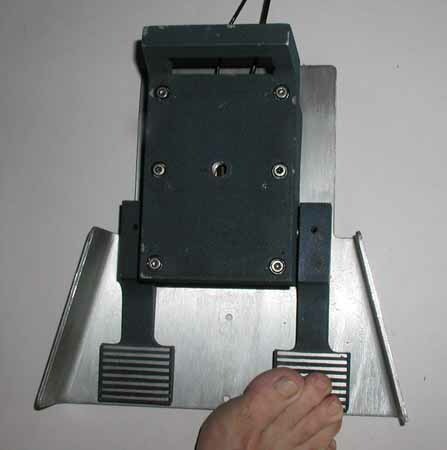 5995 THE FOOT PADDLE:(15KB) This is a very well made paddle designed for the digitally-challenged operator who must make both dots and dashes with other limbs. The dot contacts are on the right side and the dash contacts are on the left side. 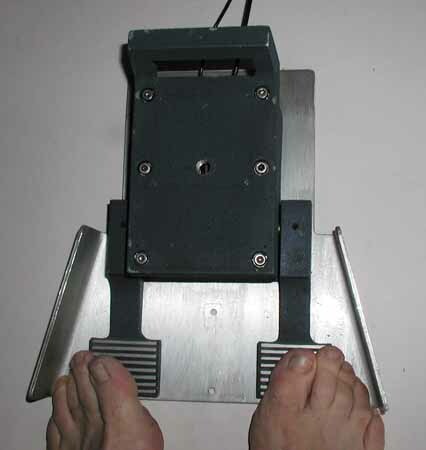 As you can see below, the instructions suggest different methods of manipulating the paddle depending on the operator's preferences.